Updating and integrating your space is easy with the elevated base and clean lines of this contemporary fireplace mantel. Bring an air of luxury to your d̩cor and enhance room’s overall design while adding warmth to spaces both large and cozy. It’s function meets form at its most beautiful. 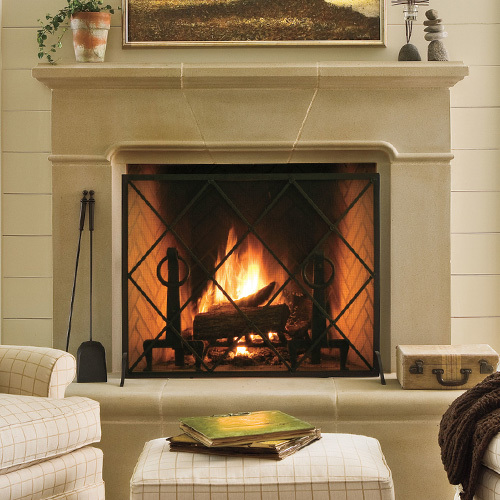 Where other mantel designs fall short, this premier man-made cast stone fireplace surround shines. I just wanted to let you know how thrilled we are with BOTH! 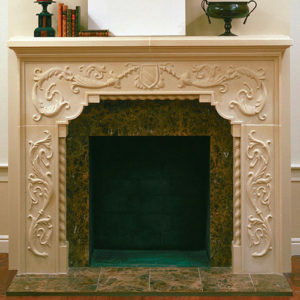 our new fireplaces we recently purchased from you and had installed! They are FABULOUS!!!! Thank you, also for the wonderful customer service! It was a pleasure doing business with you! 5 out of 5	Perfect Fit For Our Den! Many thanks for the months of work and planning you helped to put into our new fireplace purchase. I appreciate your patience and attention to detail as well as your genuine concern in helping us choose the right style for our new home. We are so very happy! The Conrad was the perfect size and fit in our den!